Hopper scale with 3 load cells for accurate weighings of bulk materials. Hopper scale with 4 load cells for accurate weighings of bulk materials. 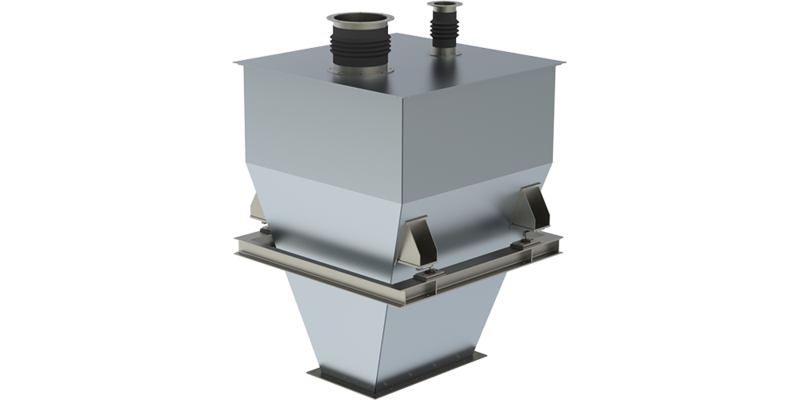 Hopper scale with lever system for high-accuracy weighings of bulk materials. The hopper tare weight can be completely compensated to achieve highest accuracy. Thanks to decades of experience, WÖHWA guarantees highest reliability for cost-effective production and a high weighing accuracy for ist hopper scales used in handling bulk materials. Since our scales are used predominantly for legal-for-trade purposes, highest precision during the manufacturing process is a matter of course. "Loss-In-Weight" measurement is used to reclaim bulk materials with varying density from hoppers. This high-accuracy, continuous and gravimetric measurement is used to continuously adjust the speed of the feeder during discharging to keep the material flow constant. A precondition for this measurement method is the use of adjustable feeders like rotary valves or screws to control discharge rates. 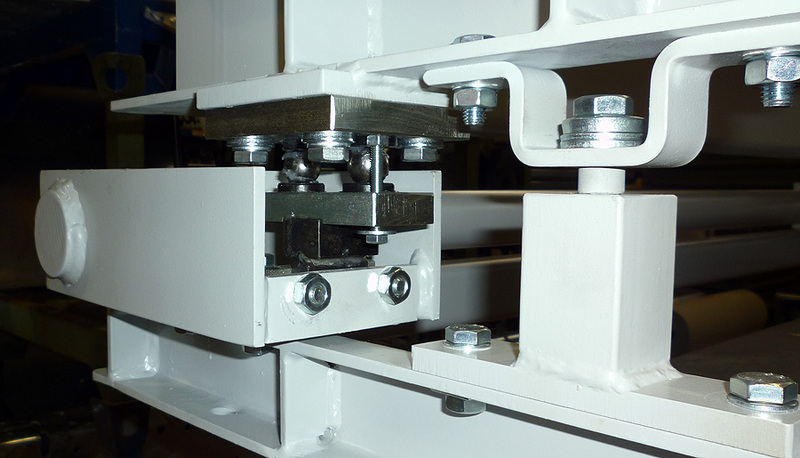 WÖHWA Hopper Scales can be supplied for all hopper sizes with the customer-requested accuracy. We can supply cost-efficient weighing systems from simple production control scales to high-accuracy hopper scales for the uranium or gold industry.